Sport Oxylent is a 3-in-1 performance drink that promotes energy, stamina, and recovery—your pre, during and post supplement all in one great tasting drink. 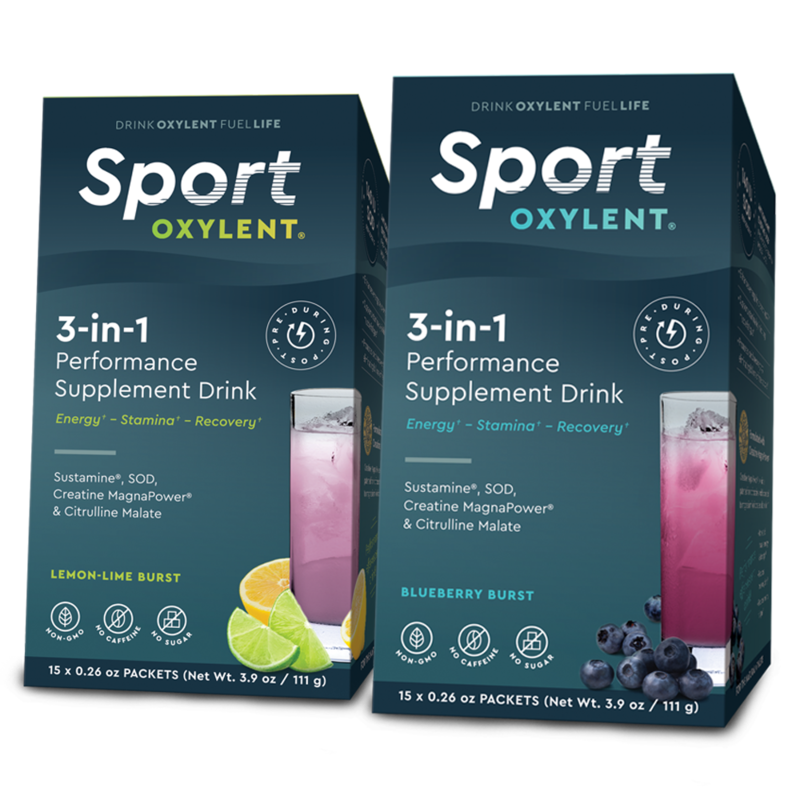 Made for the natural athlete, our unique formula combines well-known sports ingredients with cutting-edge ingredients you can’t find anywhere else! EARN 2x POINTS ON SUBSCRIBE & SAVE PURCHASES! DOUBLE POINTS every month! Cancel at any time – no penalties & keep reward points! 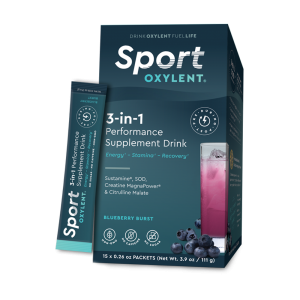 Are natural athletes looking to get the most out of their workout with no caffeine, sugar or anything artificial! Why Creatine MagnaPower®? | Why Sustamine? 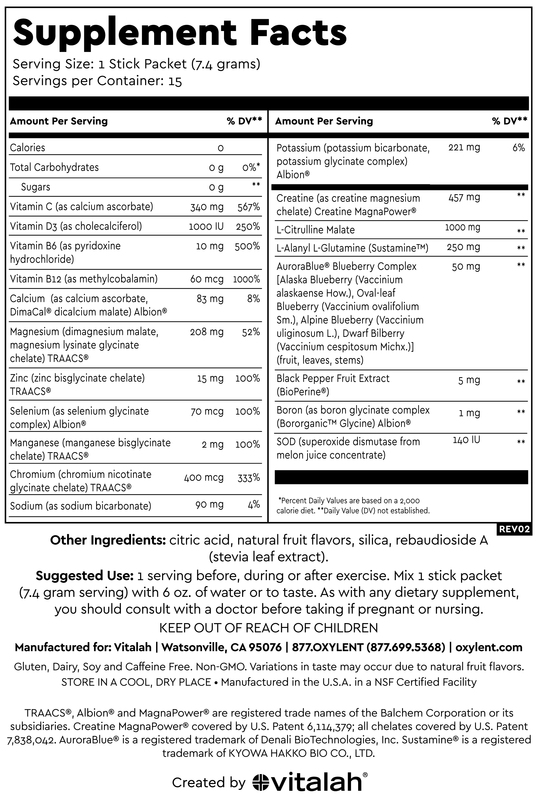 | Why Citrulline Malate? | Why AuroraBlue®? | Why SOD (Superoxide Dismutase)? 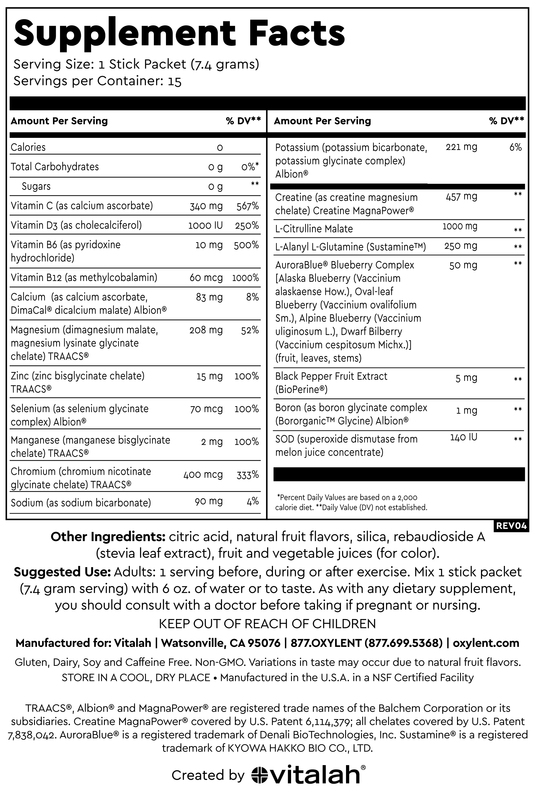 | Why vitamins C, D, B6 & B12? 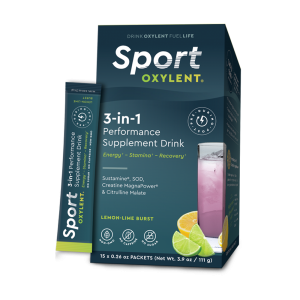 | Why Minerals & Electrolytes? | Why BioPerine® Black Pepper Extract?